: Don't worry, Sadira. I know my way around the bush! 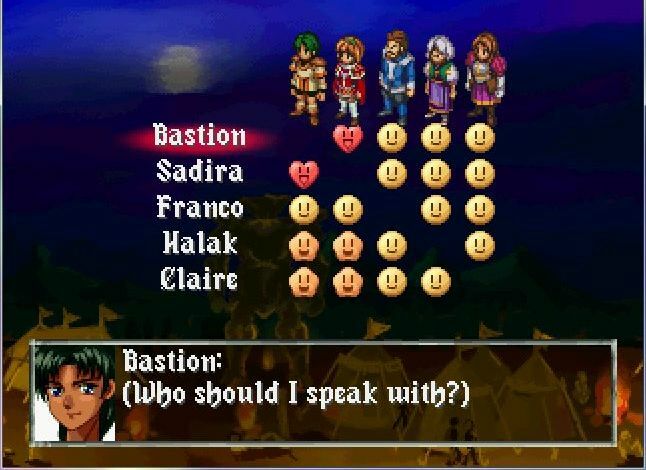 Well, I suppose that answers the question of why all the ladies love Bastion. You know, if that scene actually existed, I would quit this LP right here and now. I may be a sentient AI built to destr-um, never mind, let's move on, my fellow human readers. : Prince Bastion, the Princess was seeking you out earlier. Have you spoken with her yet? : Very happy, you make Sadira, but take care of her heart, you must! : I wonder if, like, maybe you and me would've been a good couple. Then I remember I'm too tall for you! : We beat you once before, Zakov, and I look forward to humiliating you a second time! : I haff been exiled from dhe Imperial Army! I haff nowhere to go! Please, Sadira! I beg you to help me! : Commander Zakov, your lies are as ridiculous as your mustache! : Vhat?! Vhy do you accuse me of dhis?! : Because you are FAR too egotistical to ask for assistance, and especially not from a woman. : Bah! You dhink you are so smart! : As you command, Princess Sadira. I vill return to dhe Empire and leave you to deal vith Lord Alden! : What are you talking about?! 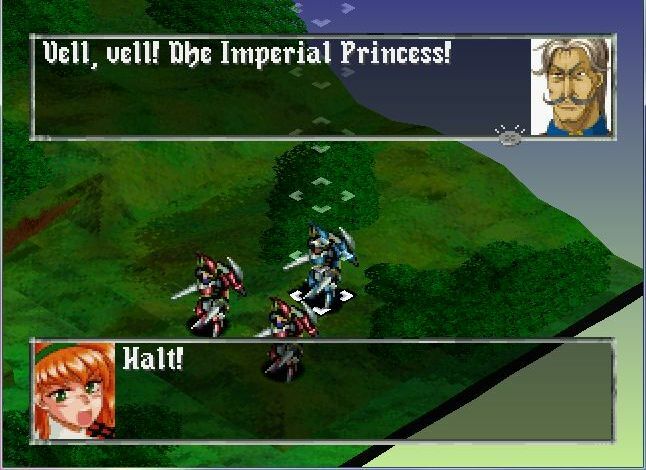 : Farevell, Princess, and good fortune to you in battle! 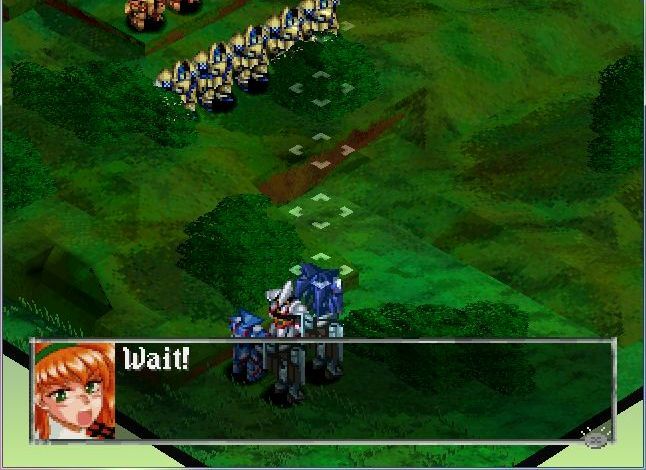 And thus, Princess Sadira got outsmarted by Zakov. A shining moment for Bastion's true love! And Zakov and his pals bounce. : I was wondering when you would finally reveal where your loyalties lie, Prince Bastion. 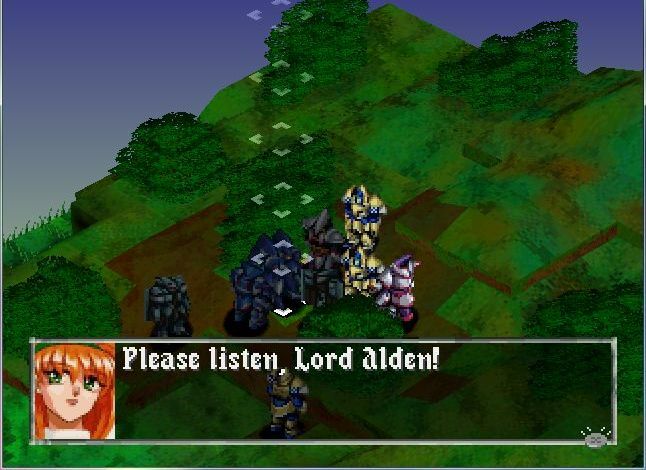 : Lord Alden! 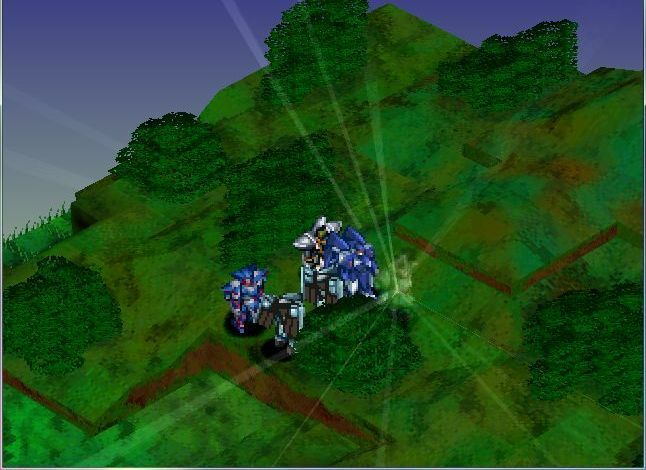 Join us in pursuit of Commander Zakov and the others! We still have time to catch them! : There is no need for your foolish charade, Sadira. We already know the truth. 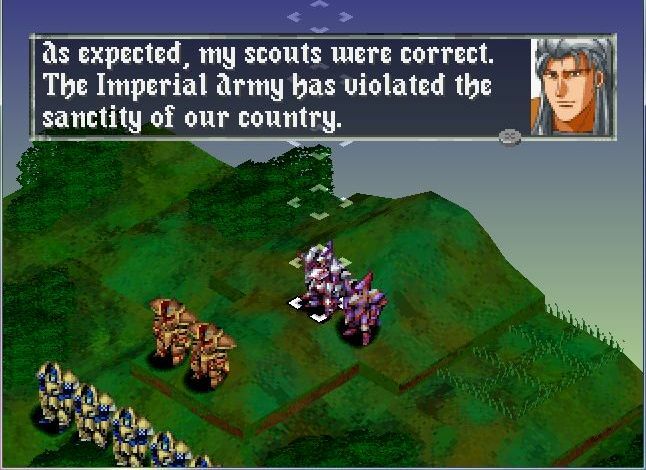 : Our scouts have already seen your ATAC leading the Empire's forces into battle against us! : That's impossible! This is the first time Sadira has been here since our initial visit to meet with Alden! : I told you, Prince Bastion, that the choice you made would be crucial. Unfortunately, you chose...poorly. Damn it all, if only we had realized that Joseph was a carpenter, all of this could have been prevented! 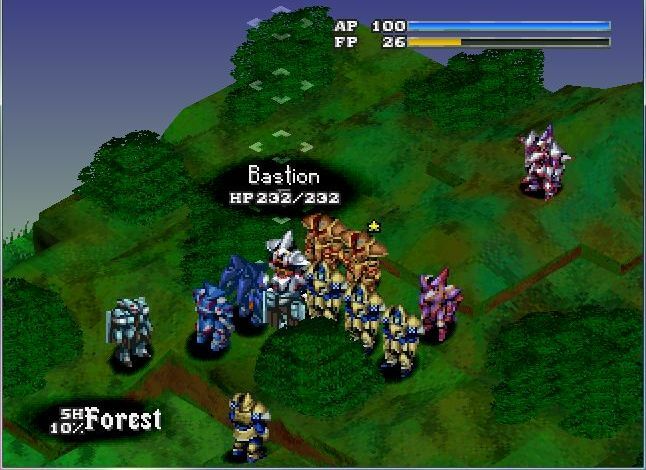 : Now I give you a second choice, Bastion. Surrender now, or die. : You don't understand, Alden! You're making a mistake! We're your allies! 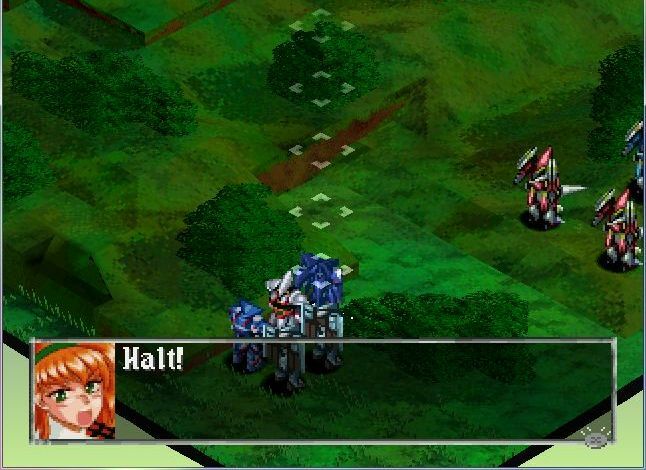 : Once again, Bastion, you have made the wrong decision! Once again, this is a battle that's all about position. You're outnumbered, and you don't have Cecilia. If you can find a spot that limits the number of Hibernians that can attack you, the battle becomes very easy to win. The Hibernians (except Devlin) all have water stones, meaning the only ranged attack they have is Ice Shards, which is very weak, especially with their low Power. The only threat is Devlin, who has a fire stone and all of the fire attacks that come with. I'll be taking him out first. : I though you were an honest man, Bastion! How could I have been so wrong about you?! : What you're wrong about is thinking that we have anything to do with the Imperial Army! : Shut up, Bastion! I tire of this war, and your lies sicken me! : Why won't you listen?! Hey, Devlin? Say hi to Thomson for me. : To suffer a defeat at the hands of scum like this?! I am worthless! Well, at least nothing of value was lost, then. And here come Melior and Alden! 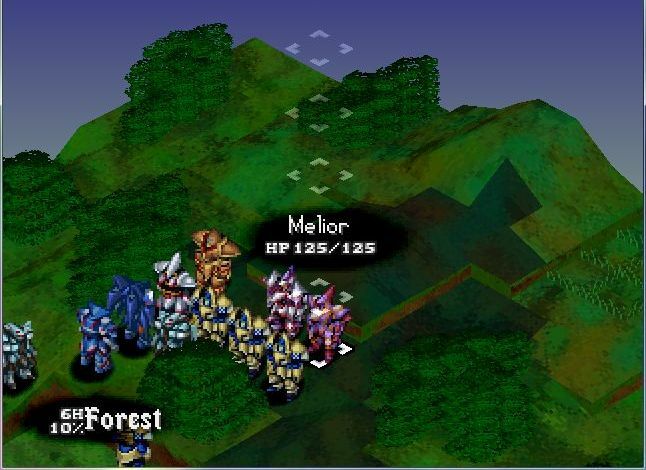 Unfortunately for them, Melior has no power and Alden's only decent attack, Blizzard Break, only has a range of 1 square, meaning that all I have to do to beat them without incurring any serious damage is keep a protective shell of their own troops around me! Oh, and Barlow dies. Does anyone really care? No? Good. Let's move on. : I do not savor the task of having to kill you, Princess Sadira, but you leave me no alternative. : This is a misunderstanding! We were set up by Zakov and Faulkner! 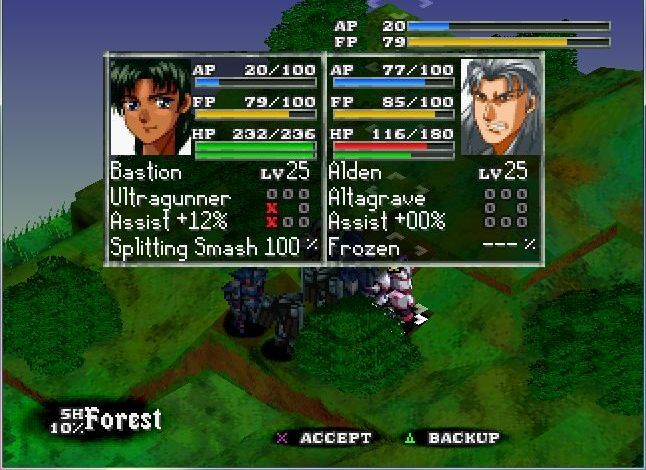 : I will try and make your death as painless as possible, Bastion! : Damn it, Alden! We came here not to fight, but to HELP you! Why won't you believe us?! : Because the facts overwhelmingly point to your affiliation with the Imperial Army! : You're wrong, Alden! Dead wrong! And now he's just dead. 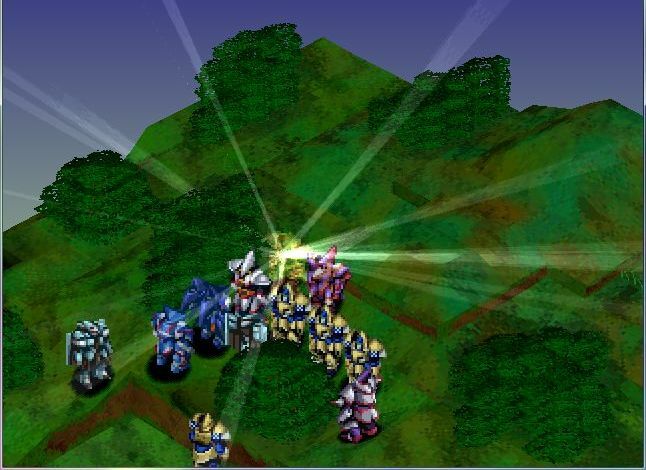 : I cannot believe I have lost to such dishonorable warriors. 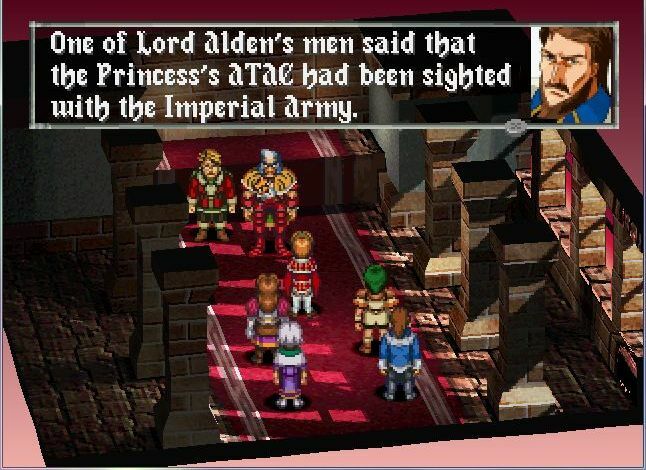 Alden was the last enemy left, so that's the end of that. Also, since I have now slain the entire Hibernian government and military, I hereby claim their country, and rename it as the new province of Dynamonia-Smasherartum. : What a tragedy. What a waste. None of this had to happen! : How could the Empire have fooled the Hibernian scouts? : By constructing a false Sylpheed? A ATAC that looks like the real thing, but doesn't function like it? : That would certainly be difficult, but considering the resources of the Empire, not at all impossible. But who would...of course! If Madoc could build something as terrible as the Sharking, why not a replica of Sylpheed? : If you ponder the possibility, it seems reasonable, yes. Eh. Sure, whatever, I'll be sporting and pretend this didn't come out of left field for no good reason. After all, it did let me kill Devlin. : You mentioned him before. He's the chief engineer of the Empire, correct? : Yes. He and Faulkner always had an unusually close friendship, and now I understand why. With their false Sylpheed, the Empire has tainted my reputation seemingly beyond repair. If Lord Alden would not believe us, we have no chance of convincing anyone else of my innocence. 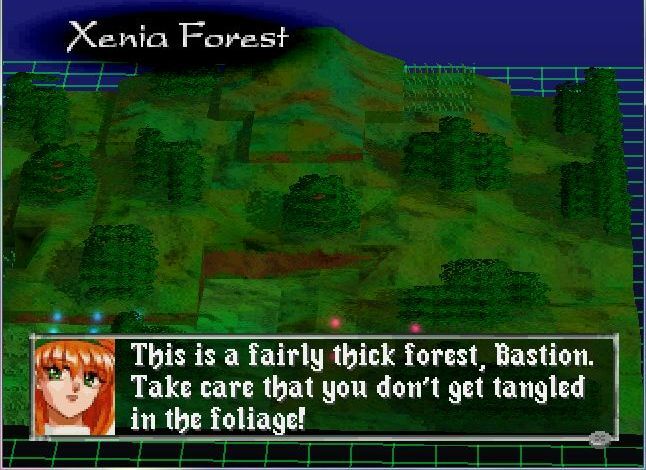 : Unfortunately, Princess Sadira, you are correct. We will be assaulted no matter where we go. : Faulkner has managed to turn the entire Continent against you. : Don't be saddened, Sadira. Faulkner has simply focused our attention. : You're right. We have no more choices to make. We must kill Faulkner before we are killed ourselves. : The only problem is that we still haven't heard from Cecilia yet. : She must be too deep into Imperial territory to communicate with us without giving away her location. I'm sure she'll rejoin us after we storm across the border. : You're right, Sadira. 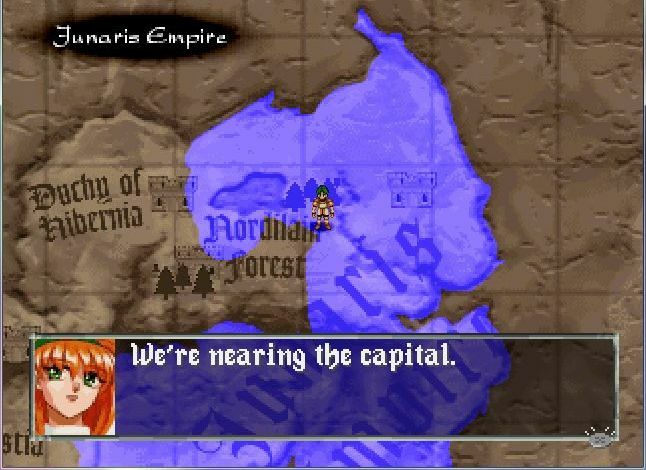 It shouldn't be hard to find us, since we'll be under attack from all sides! I feel like I've already transcribed about fifty different variations on the "Yeah, now where going to march on the Imperial capital and kill Faulkner! And this time, we mean it!" : I'll come with you, Sadira. You will need all the strength you can muster to reach the Imperial capital! : Like, no way, Daddy! You need to stay here and defend our country! : Daddy! I already said NO! I go, you stay! Got it?! Thanks, game, thanks a million. 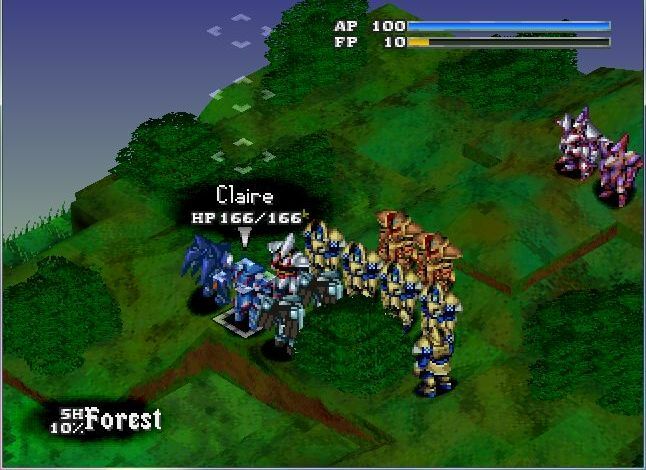 : But, Claire, come ON! : Nice try, Daddy, but your pouty face isn't going to work on me! Besides, if someone took over our country and stuff, I would totally never forgive you! Yeah, we can't let Faulkner conquer Nordilain, for that reason, Logan cannot be allowed to join us in our battle with Faulkner! : Alright, Claire. I'll stay. But promise you'll come back when you realize how much you need my help! : But now we have to get through this totally guarded checkpoint. 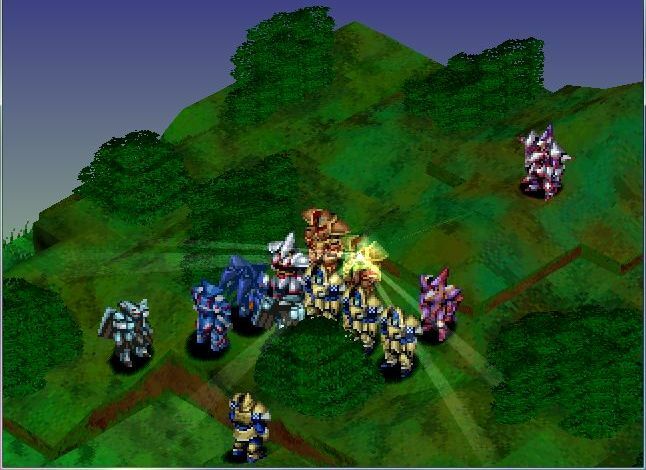 : It's possible, but unlikely, that these troops will heed my orders and let us pass without incident. If not...we'll have to fight. : I was expecting a fight in any case, Sadira. Let's go. Next Time: Nothing you haven't seen before! Contribute to the latest challenge!